The operational context during February was marked mainly by small-scale attacks, evictions, drought and the drying up the Shabelle river. 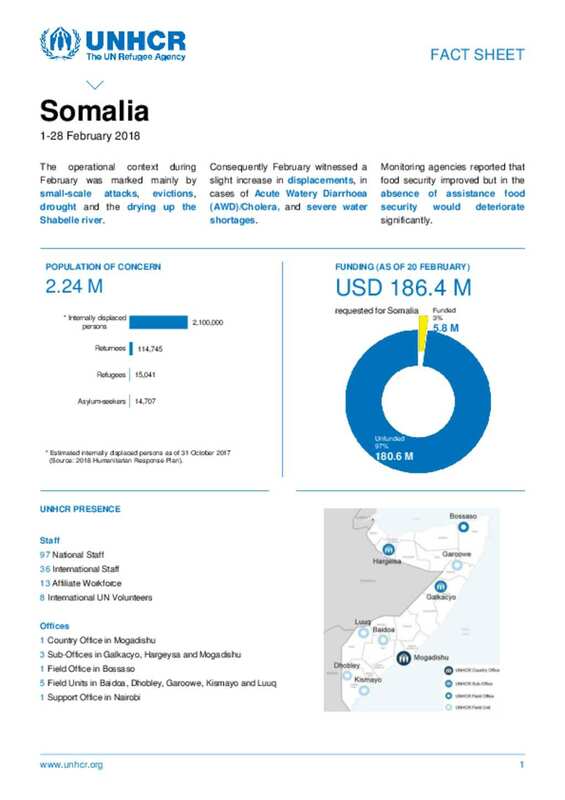 Consequently February witnessed a slight increase in displacements, in cases of Acute Watery Diarrhoea (AWD)/Cholera, and severe water shortages. Monitoring agencies reported that food security improved but in the absence of assistance food security would deteriorate significantly.